Pray for the crippled and disabled! 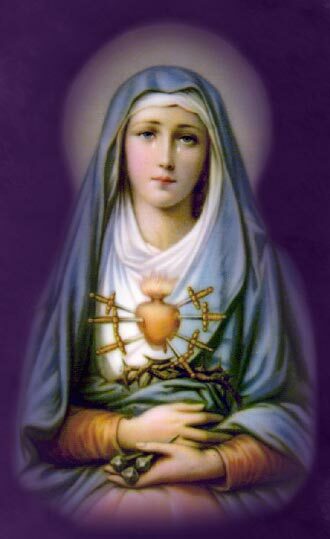 This site is intended to such people could know each other, pray for each other and strengthen each other with love. The Lord wants it to be a souvenir of the jubilee year of mercy. Agape for Physically Challenged ! 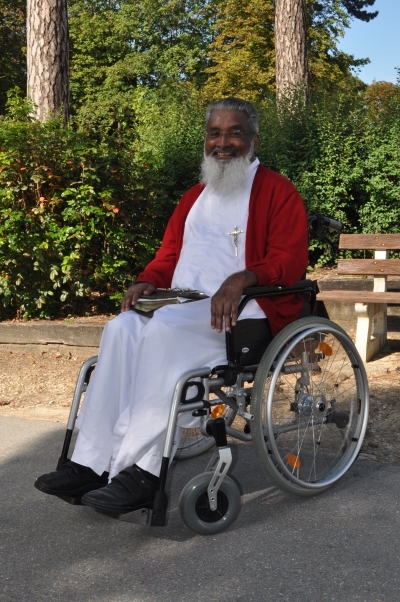 Everyday I look at the list of the disabled in my website and pray for each of you in my daily masses. I am one with you, as I too am on wheel chair with much pain and suffering. I believe that Jesus came mainly for us those who are crippled, disabled and sick because when John the Baptist sent his messengers to Jesus to ask if he was the Messiah, he replied, "Go and tell John what you have seen and heard: the blind regain their sight, the lame walk, lepers are cleansed, the deaf hear, the dead are raised, the poor have the good news preached to them" ( Lk 7:22) Also He had told, "Those who are healthy do not need a physician, but the sick do"( Lk 5:31) Jesus is the Divine physician who came to the world to heal the sick and the disabled. Let us all rejoice at this good news. I wish you all A Merry Christmas & A Blessed New year 2018! Let us go ahead with courage and hope in the Lord Jesus who is born in the manger at Bethlehem and rejoice at His love and care for each of us.At midnight mass on 24th and 31st I will offer each of you to the Lord with the bread & wine that I raise up at the altar. Kindly pray for me too.My love, prayers and blessings to you. I introduce me: I am Fr. James Manjackal, born on 18th April 1946. I became a priest of the Missionaries of St. Francis de Sales on 23rd April 1973. From then on I am a charismatic preacher going through all continents and countries. Since my sickness of ' Guillain Barre Syndrome by the end on 2012, I am disabled and I am on wheel chair. Still the Lord allows me to go to various countries to do my ministry of preaching and healing. A few days ago, the Holy Spirit inspired me to convene a prayer group through internet for those who are physically challenged like the disabled, crippled , lame, blind, deaf, etc because of illness or accident or by birth. As I am appointed ' a missionary of mercy' by Pope Francis on last Ash Wednesday, I feel that this group should be a souvenir of the Jubilee year of mercy. Those who are unable to write can become a member of it through the help of others. I INVITE ALL PHYSICALLY CHALLENGED PEOPLE ALL OVER THE WORLD TO JOIN IN IT so that we shall get to KNOW each other, LOVE one another and PRAY for each other in the Name of Jesus Christ Our Lord WHO HAS A SPECIAL AND UNIQUE LOVE FOR US. Occasionally I will give messages of counseling , correction, consolation and comfort. Although it is English group now, people of any language, culture and religion can join in it. Those who do not know English, can communicate through the help of some one who knows English.Help one another! IT IS AN INVITATION TO THE BANQUET OF THE LORD! Alleluia! 1. Your profile will be published in this website. 2 . Send you name, address, Email ID, date of birth with your scanned photo. 4. You are free to give your mobile number. The members of this group will have freedom to communicate with me. I call you friends and my children !